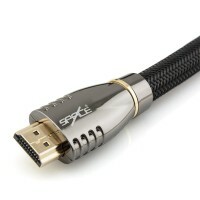 This superb range of HDMI Cables will provide you with flawless audio and video performance. 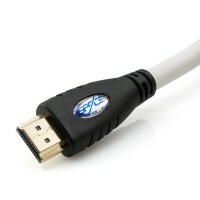 HDMI (High Definition Multimedia Interface) is the most common interconnect option found on consumer electronic devices today. As a HDMI Cable supplies both high definition video and audio, this provides a simple installation procedure, ease of use and will minimise cable clutter. 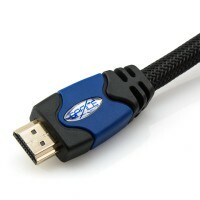 These cables provide complete support for all current HDMI features, including 4K Ultra HD resolution (2160p), Full HD (1080p), 3D video, high definition audio, HDMI Ethernet Channel (HEC), Audio Return Channel (ARC), High Dynamic Range (HDR) and more. 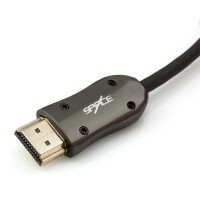 Not sure which HDMI cable to choose? Please refer to our HDMI Cable Guide.